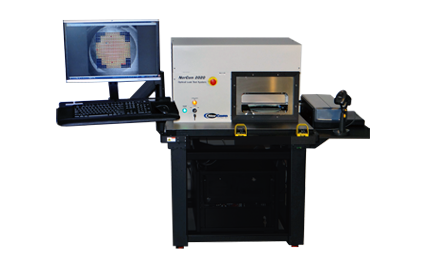 NorCom Systems Inc. offers automated leak test solutions for hermetically sealed devices to the microelectronic, defense, and medical industries. NorCom Systems Inc. is the exclusive manufacturer of Optical Leak Test systems for fine and gross leak inspection of hermetically sealed components. Our advanced technology has made us the leader in leak test technology for over twenty years. Optical Leak testing (OLT) images the lid deflection of the package under pressure with a very sensitive full field interferometer, and determines the change in internal pressure of a leaking device reporting both the pass/fail status and leak rate of the device automatically. OLT technology is used for metal, ceramic, glass, and silicone lidded devices. 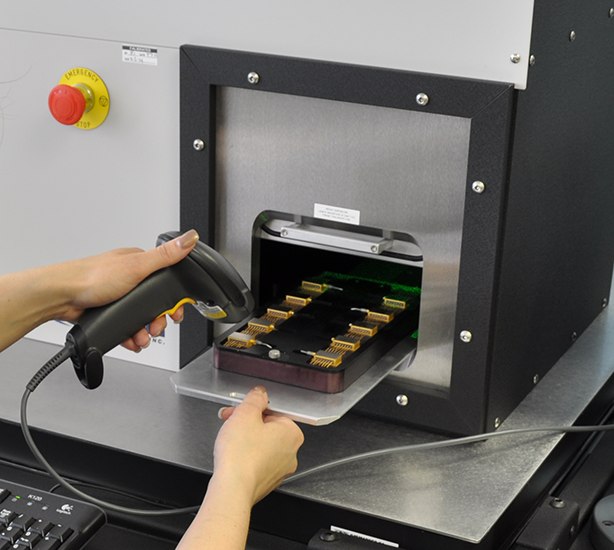 The systems can inspect devices on a circuit board, wafer or mounted to a substrate. The NorCom 2020 batch inspects up to 500 devices per cycle for both gross and ultra-fine leaks. 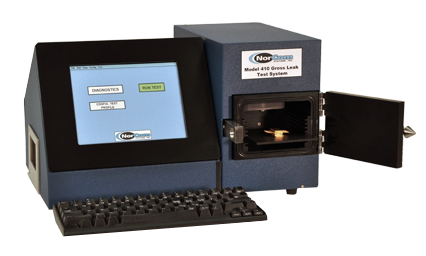 The system incorporates a patented full field interferometer that produces reliable, repeatable leak test results. 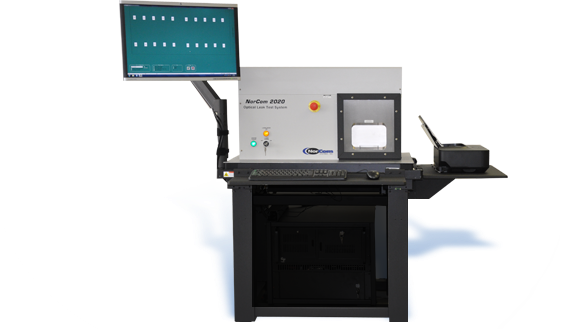 The NorCom 2020-WL is specifically designed for wafer-level inspection and leak tests up to 1000 devices per cycle. 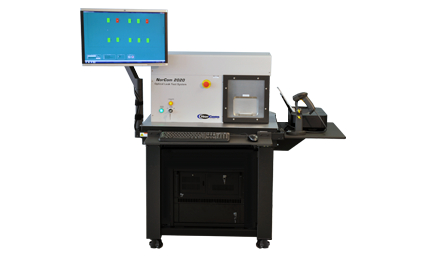 The system can inspect up to an 8” wafer on or off a saw frame. It is designed to test MEMS and other wafer level devices that have a cavity. The NorCom 410 is a single device gross leak test system that replaces conventional bubble leak or red dye testing for gross leaks. The system can inspect a package in seconds using air pressure only, and report both the pass/fail status and leak rate of the device automatically.